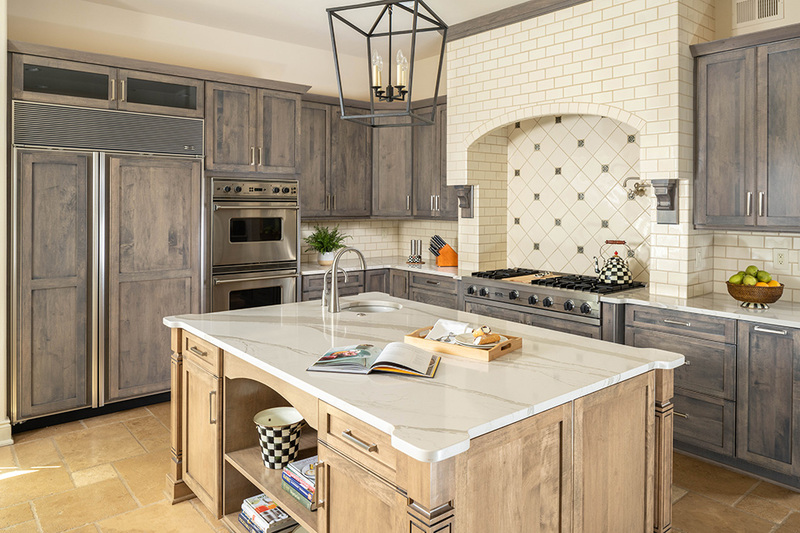 Your kitchen countertop may be the first feature of your kitchen that guests will notice, and holds the potential to enhance its overall beauty. 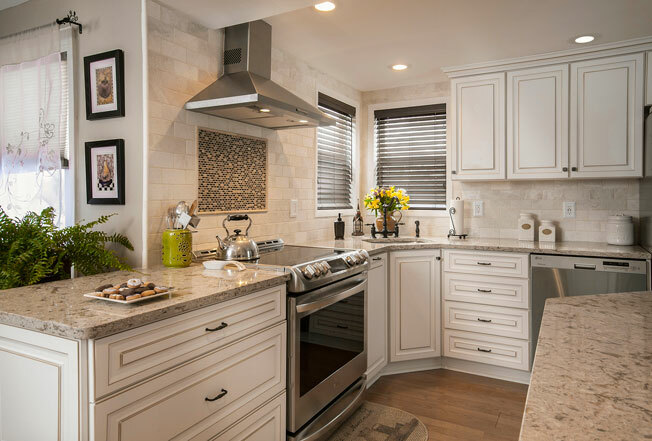 Finding a kitchen countertop option that functions best for your household may require considerations that look beyond just its appearance. 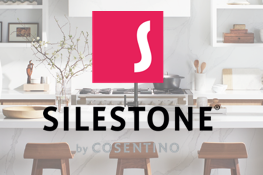 Our aim is to make the task of finding the perfect countertop as simple as possible for you, by providing all of the information you need to make the best choice. 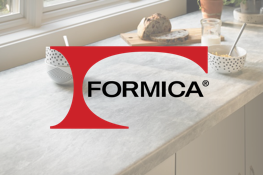 Corian kitchen countertops are best known for being the original solid surface – made of natural minerals, pigments and acrylic. Made by DuPont, Corian has been in the marketplace for over forty years. 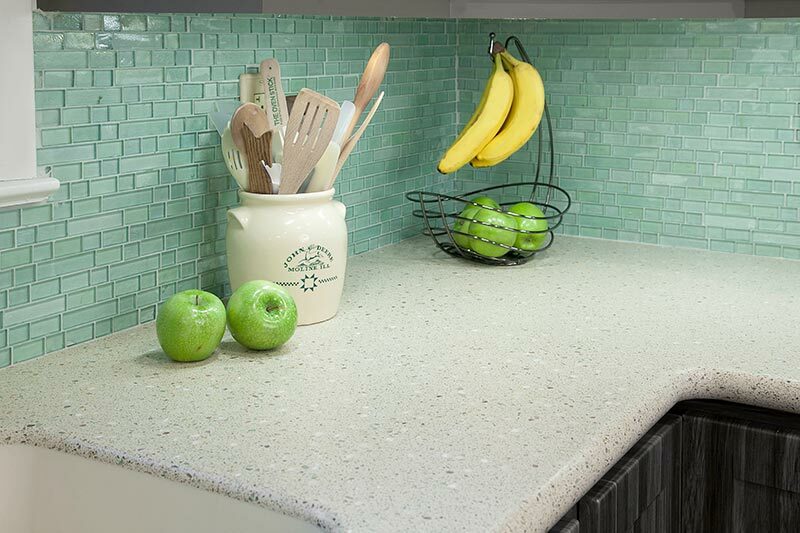 Corian offers many solid color and pattern design options. 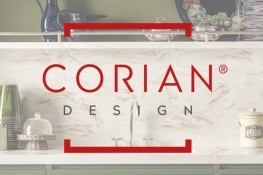 Corian is non-porous and doesn’t require sealant or polishing. Fade, stain, scratch and bacteria resistant countertop surfaces. An expert installer can cut and install Corian to appear seamless. Cutting food on Corian kitchen counters may scratch or dull the surface. Placing a hot pan directly on Corian can also cause damage. However, most damage done to Corian can be easily repaired. 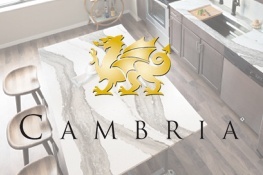 Quartz countertops are an engineered stone material and offered under various brands including Cambria, Zodiaq, and Silestone. Quartz products are made of 93 percent natural quartz mixed with pigments and acrylic resin. Quartz designs are available in over a hundred prismatic colors & patterns. 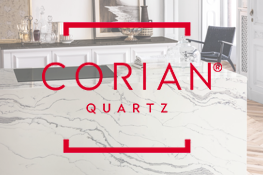 Quartz is non-porous, never requiring sealants or polishing to retain its luster. These surfaces are resistant to scratches, chips, stains and bacteria. 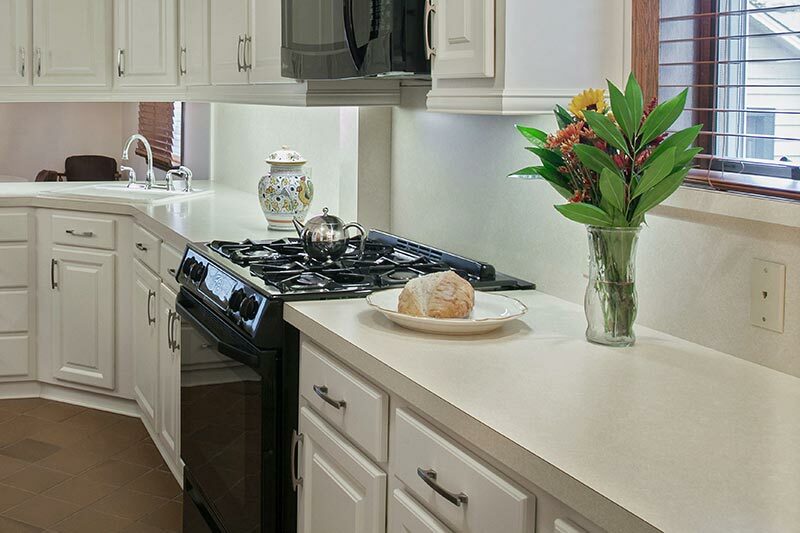 Quartz countertops can crack if exposed to direct heat over long periods of time. 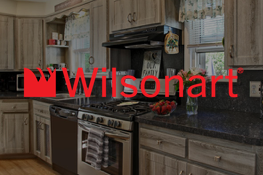 However, since no countertop is invulnerable, simply using a trivet or hotplate can prevent heat damage to quartz. Having trouble deciding? Our handy ebook will help you narrow down the brands and materials. 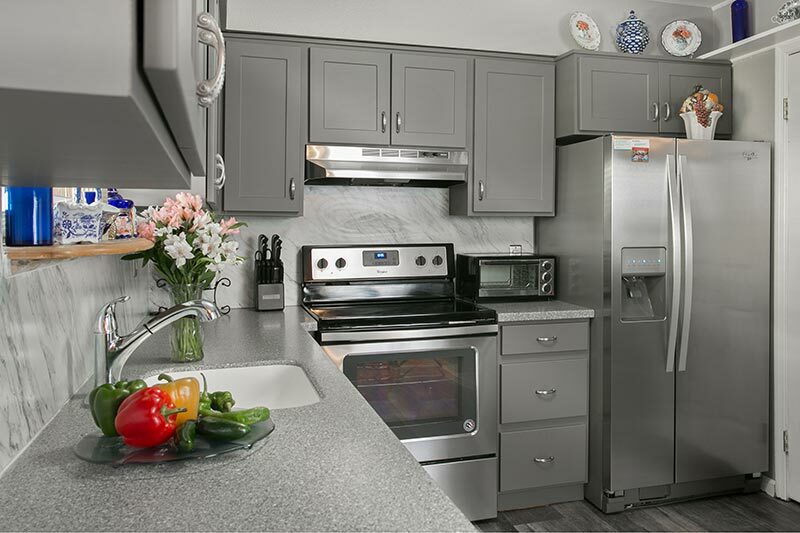 Granite typically refers to 100 percent natural high-grade stone that is quarried from different sites around the world. 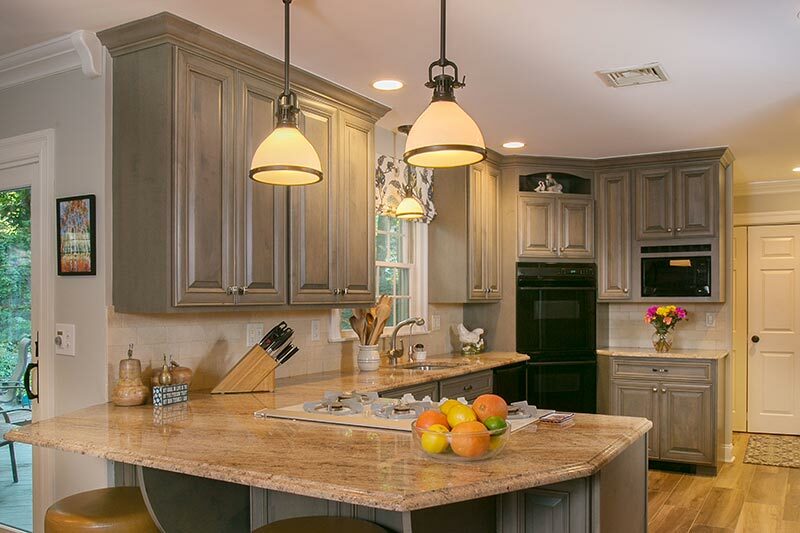 To date, granite is still a highly popular countertop material. Granite forms naturally in an array of colors and unique patterns. 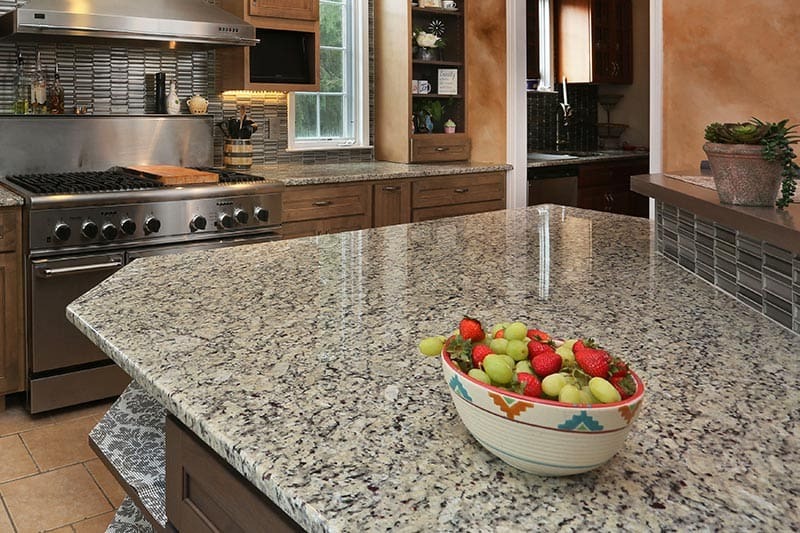 Resistant to heat and scratch, granite is also stain-resistant if sealed. Granite countertops can crack or chip, and color and grain inconsistencies can make them costly to repair or replace. Granite is porous and must be sealed to prevent stains and discoloration. 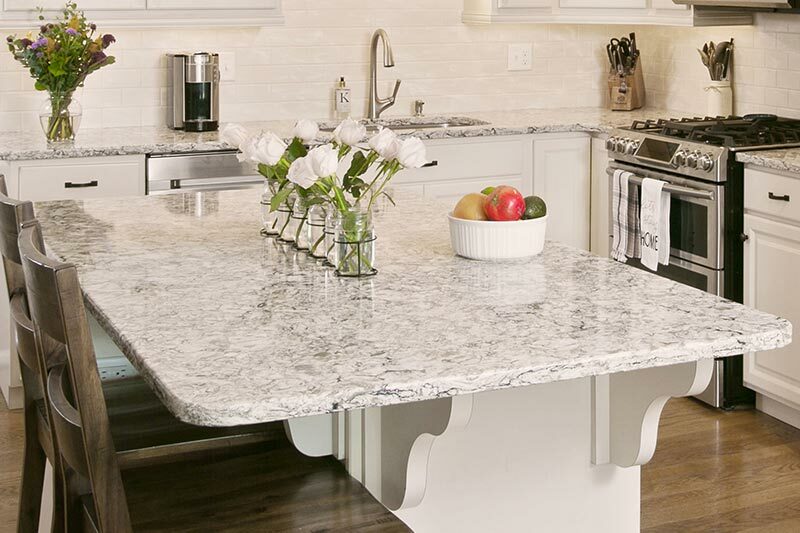 Granite may have larger, more visible seams compared to other countertop options. There is also a risk of naturally occurring radon emissions from granite. 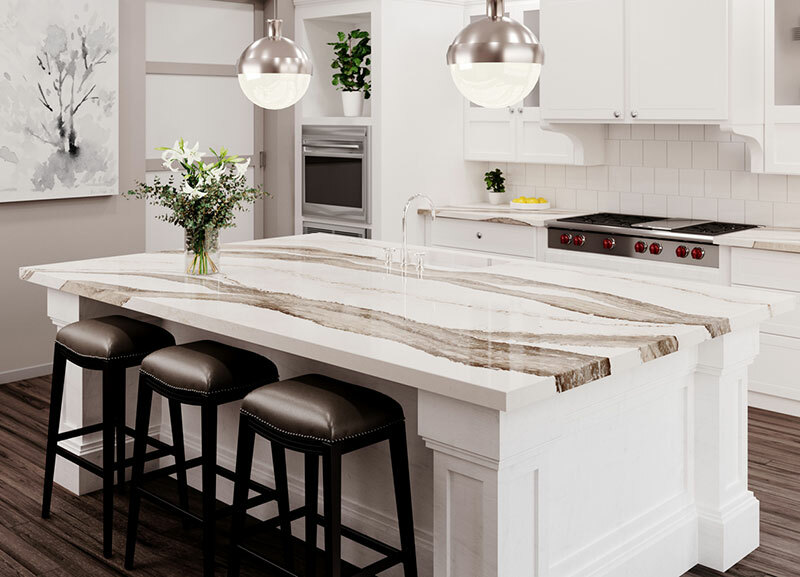 These kitchen countertops are thin, lightweight, and more affordable materials made of compressed paper layers bonded with resin. Yet, they are incredibly durable and stylish. Laminate has everything from solid colors to designs that mimic the look and texture of natural stone or wood. New laminate countertops can be quickly installed on existing or wood substrate replacement countertops. Although they incur seams, some manufacturers offer visibly seamless ogee and bull nose edge options. Laminate countertops can scratch, chip, burn or stain. Some lesser quality brands can even warp with exposure to high moisture and humidity, or melt with exposure to heat. However, proper care and maintenance can ward off most damage to laminates.